As a proud sponsor of the Dutchess County Office Of The Aging, Putnam Ridge is pleased to support its first Senior picnic of the season! The sun came out just in time on May 31st at Boyce Park in Dover for well over 250 local residents from the Dover, Amenia, and Pawling greater-communities enjoyed the sweet sounds and tastes of summer. Bob Martinson entertained while Senator Susan Serino and Dutchess County Executive, Marcus J. Molinaro warmly welcomed the many attendees. Picnics are open to older residents throughout the summer. For more information, visit their website. Putnam Ridge would like to thanks to Dutchess County Office Of The Aging and the Dutchess County Executive’s office of Marcus J. Molinaro for supporting and sponsoring this wonderful event. 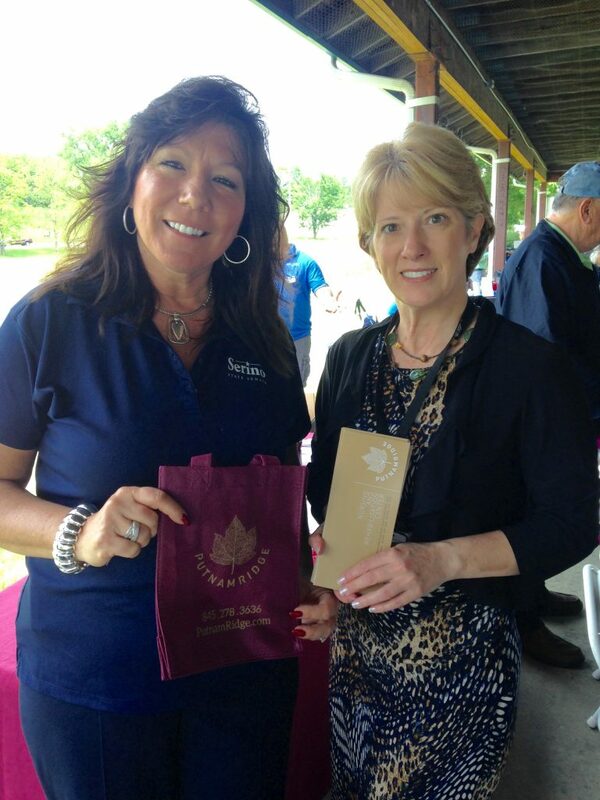 Pictured here is Putnam Ridge’s Director of Community Relations, Bonnie Leavy, with Senator Serino.